Kenneth (Kenny) L. Greer, 77, of Fireco, went to be with his Lord and Savior, Monday, April 8, 2019, at Bowers Hospice House of Beckley, after a long battle with cancer. Kenny was of the Baptist faith and a disabled coal miner. He loved fishing, hunting, and spending time and making memories with his grandchildren. 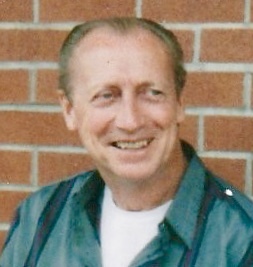 He was the son of the late Clyde and Amy Greer. He was preceded in death by his brother Jimmy Greer and his three sisters; Belle Belcher, Audrey “Bootsie” Drumheller, and Helen Fink. Those left to cherish his memory include his wife of 57 years, Brenda K. Greer; son Kenneth (Ken) Greer and his wife Brenda S. Greer; his brother Tommy Greer and his wife Gladys Greer, grandchildren, Brittany Greer, Marcus Newbill, Kenneth W. Greer, Chasity Foster, and Leigha Hurd; his great grandchildren, Cameron Lewis, Morgan Greer, Rae’l Newbill, Shane Dickens, and Karter Potter; his very special friends Lisa and Amos Minor, and many nieces and nephews. Service will be held at Melton Mortuary on Harper Road, April 10, 2019. Family will gather to say their goodbyes from 11:00 a.m.-12:00 p.m. and friends are welcome to join from 12:00 p.m.-1:00 p.m., services will follow. He will be buried at Blue Ridge Cemetery. Those who will carry Kenny to his final resting place include Kenneth W. Greer, Amos Minor, Roy Smith, Randy Murphy, Randy Murphy III, R.P. Mitchem and Honorary Pallbearer Dean Gordon. In lieu of flowers, we ask that you please make a donation to Bowers Hospice House. We would like to thank the nurses from hospice and Bowers Hospice House for their kindness and care during this difficult time.